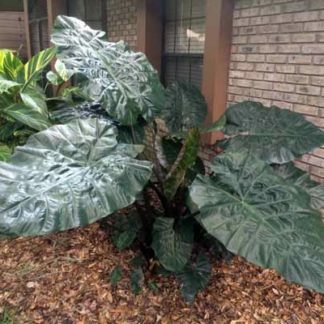 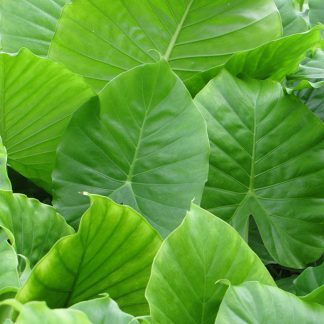 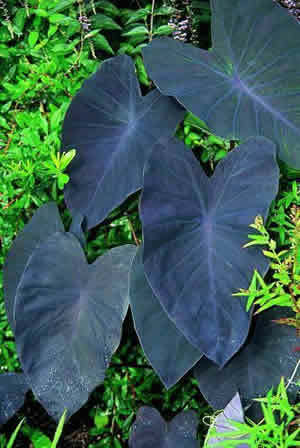 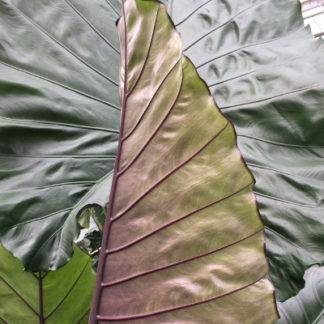 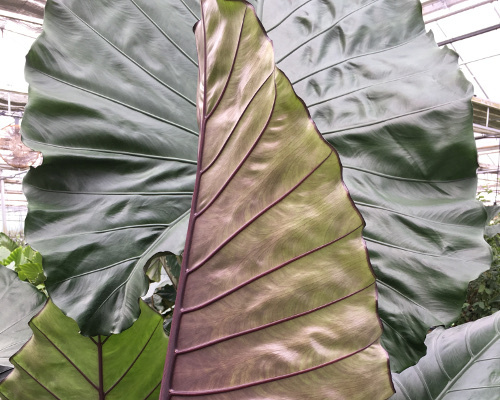 The Sumo Alocasia is a brand new cross of Purple Cloak and Portora, with huge dark green leaves that have bronzey undersides with burgundy veining. 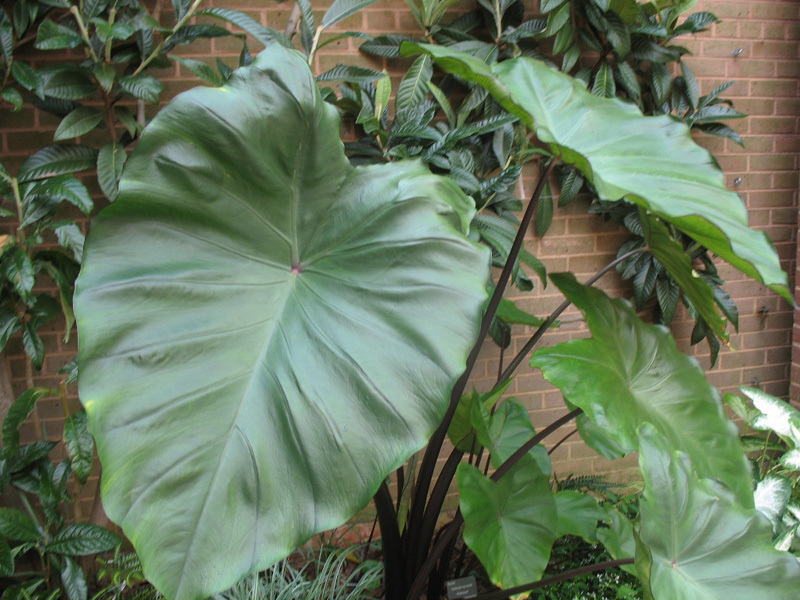 Elephant ears’ attributes become even more defined when they mature. 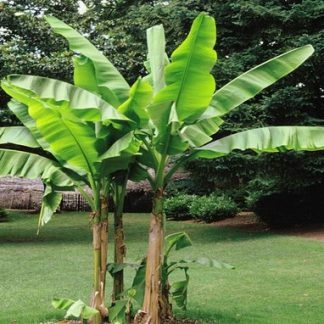 A great focal point for a tropical garden.